International Conference on e-Health and Healthcare Innovations is mainly congregation of digital health professionals, offering proactive top-quality learning and an opportunity to network with organizations and people that value quality health information as well as effective integrated system solutions. e-Health Congress 2019 invites young researchers, leaders in healthcare industry, clinicians, health authorities, deans, directors, CEO’s emerging professionals, healthcare industrial delegates, talented student, experts, communities in the field of digital healthcare under a single roof, where networking and global partnering will happens for the acceleration of future research and expected to grow at a high rate in upcoming years with drift to boost the growth of the medical care technology and health. e-health conference also invites the exhibitors to participate and promote their medical devices, software’s and e-health applications as well as mobile apps and other medical and wellness products. e-health conference provides an opportunity to promote newly updated online health applications and mobile health products through this platform. Conference is scheduled on May 8th - 9th, 2019 at Amsterdam, Netherlands. 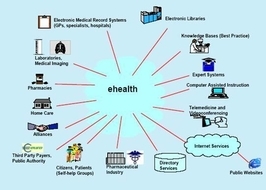 E-Health is defined as use of internet and other related technologies in the health care, health education, knowledge, research and industry to improve the efficiency, effectiveness, quality of treatment, business process utilized by healthcare organizations, practitioners, patients and consumers with the help of Next Generation Network (NGN) to improve the health and status of patient. Medicine, wellness and e-Health congress | Medicine, wellness and e-Health conference| Medicine, wellness and e-Health Meetings |Medicine, wellness and e-Health conference. International Conference on Medical and Health Science, August 24th-25th, 2018 at Radison hotel, Tokyo, Japan; 8th International Conference on Medical Educations and Health Science, October 8th-9th, 2018, osaka, Japan; 7th International Conference on Telemedicine, e-Health & Health Informatics, November 16th-17th, 2018 at Melbourne, Australia; 13th World Congress on Industrial Healthcare and Medical Tourism, October 15th-16th, 2018 at Dubai, UAE. USA:American Society of Addiction Medicine, American Society for Bariatric Surgery, American Society for Dermatologic Surgery, American Society of Internal Medicine, Society of Nuclear Medicine, American Society of Cataract and Refractive Surgery. Europe: European Society for Paediatric Infectious Diseases, European Society of Hypertension, European Society for Emergency Medicine, European Society for Immunodeficiencies, European Society for Medical Oncology, European Society for Trauma & Emergency Surgery. Canada: The Canadian Association for HIV Research ,The Canadian Association of Gastroenterology, Canadian Association for Adolescent Health, Canadian Society of Respiratory Therapists. Recent advancements in the field of healthcare technologies and more need for advanced healthcare regime, number of start-up companies is utilizing digital and Internet-based health technologies to make behavioural and lifestyle changes for patients. 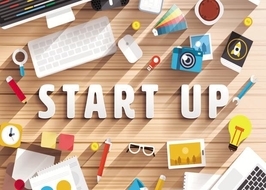 In few last year’s number of start-up businesses seemed to light like digital health therapeutics, tele-health, digital pathology, digital health, e-health, m-health companies is being promoted with their latest innovative methodologies that use digital implements like mobile-devices, apps, sensors, etc. to trigger behavioural changes in patients. Medicine, Wellness and e-Health congress | Medicine, Wellness and e-Health conference| Medicine, Wellness and e-Health Meetings |Medicine, Wellness and e-Health Symposium. International Conference on Medical Innovations, October 8th-9th,2018 at Osaka, Japan; International Conference on Internal Medicine , October 24th-25th, 2018 at Osaka, Japan; International Conference on Integrative Medicine and Alternative Areatments, October 26th-27th, 2018 at Boston, Massachusetts. USA: Society of American Gastrointestinal Endoscopic Surgeons, Society of Cardiovascular & Interventional Radiology, Society of Critical Care Medicine, American Society of Addiction Medicine, American Society of Anesthesiologists. Europe: European Society for Trauma & Emergency Surgery, European Society for Vascular Surgery, European Society for Paediatric Infectious Diseases, European Union of Medical Specialists. Canada:The Canadian Association for HIV Research , The Canadian Association of Gastroenterology, Canadian Association for Adolescent Health, Canadian Society of Respiratory Therapists. It is improved quality of treatment through cooperative care. Cost and time savings from fewer unnecessary examinations as existing patient data are centrally available efficient workflows and effortless cross-institutional communication. e-Health Solutions offer dedicated portals for patients and physicians, providing all parties involved in the care process access to the data they need. The e-Health physician portal provides physicians Web access to selected content and supports them in efficiently managing patient treatments. Easy and fast exchange of treatment data between hospitals and private practices saves unnecessary examinations and thus time and costs. Keeps everyone involved in the care process up to date and renders manual sending of clinical results unnecessary. 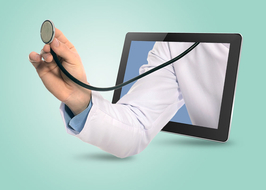 Instant online viewing of clinical content with an well renowned doctors. Efficient communication with everyone involved in the care process saves time. The e-Health patient portal allows patients web access to their health data and enables them to actively participate in their treatment. 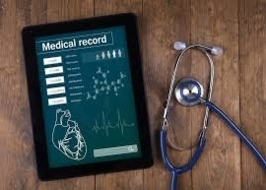 It allows patients to organize their own health record, Access their own data Adapt their personal data, Interact with physicians’ online connect external devices and load data into the portal. Easy online access to treatment data, no more paper/CD records, reduced effort to keep personal patient data up to date as patients manage their own data. International Conference on Emergency and Acute Care Medicine, August 22th-23th, 2018 at Tokyo, Japan; 3rd International Congress on Restorative and Alternative Medicine, August 27th-29th,2018 at Paris, France; World Congress on Fetal and Maternal Medicine , October 5th-6th, 2018 at Osaka, Japan. USA: American Society of Ophthalmic Plastic and Reconstructive Surgery, American Society of Plastic and Reconstructive Surgeons, American Urological Association, American Thoracic Society, American Cancer Society. Europe: European Society of Cardiology, European Society of Clinical Microbiology, European Society of Endocrinology, European Society of Gynaecological Oncology, European Society of Hypertension, European Society of Paediatric Neonatal Intensive Care. Canada: The Canadian Association for HIV Research , The Canadian Association of Gastroenterology, Canadian Association for Adolescent Health, Canadian Society of Respiratory Therapists. 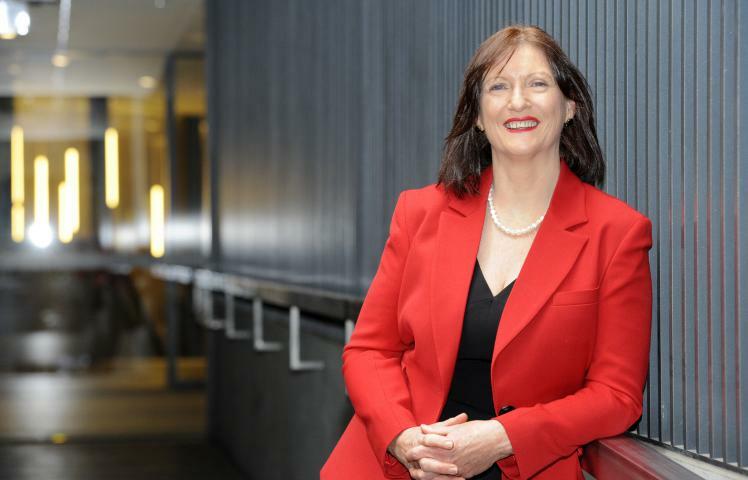 It is a record in digital format that's capable of being shared across completely different health care settings, by being embedded in network-connected enterprise-wide data systems. Such records, might embody a full vary of knowledge in comprehensive or outline type, together with demographics, medical record, medication and allergies, immunization standing, laboratory take a look at results, radiology pictures, important signs, personal stats like age and weight, and charge data. Its purpose is understood as an entire record of patient encounters that enables the automation and streamlining of the work flow in health care settings and will increase safety through evidence-based call support, quality management, and outcomes coverage. EMR stands for Electronic medical records, that area unit the digital equivalent of paper records, or charts at a clinician’s workplace. EMRs generally contain general info like treatment and case history a couple of patient because it is collected by the individual practice. By implementing EMR, patient information will be half-track over Associate in nursing extended amount of your time by multiple aid suppliers. It will facilitate determine people who area unit due for preventive checkups and screenings and monitor however every patient measures up to sure needs like vaccinations and force per unit area readings. EMRs area unit designed to assist organizations offer economical and precise care. May be the foremost vital distinction is that EMR records area unit universal, which means that rather than having completely different charts at different aid facilities, a patient can have one electronic chart which will be accessed from any medical building victimisation EMR code. International Conference on Medical and Health Science, August 24th-25th, 2018 at Radison hotel Tokyo,Japan; 8th International Conference on Medical Educations and Health Science, October 8th-9th, 2018, Osaka, Japan; 7th International conference on Telemedicine, e-Health& Health Informatics, November 16th-17th, 2018 at Melbourne, Australia; 13th World Congress on Industrial Healthcare and Medical Tourism, October 15th-16th, 2018 at Dubai, UAE. USA: American Society of Addiction Medicine, American Society for Bariatric Surgery, American Society for Dermatologic Surgery, American Society of Internal Medicine, Society of Nuclear Medicine, American Society of Cataract and Refractive Surgery. 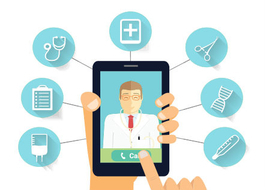 Telemedicine may be a quickly developing application of clinical medication wherever medical information is transferred through interactive audio visual media for the aim of consulting, and typically remote medical procedures or examinations. Telemedicine could also be as straightforward as two health professionals discussing a case over the phone to phone, or as advanced as exploitation satellite technology and videoconferencing instrumentality to conduct a period of time consultation between medical specialists in two completely different countries. Telemedicine usually refers to the utilization of communications and knowledge technologies for the delivery of clinical care. Care at a distance (also referred to as in absentia care), Associate in nursing recent observe that was typically conducted via post. 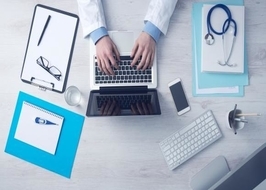 There has been a protracted and flourishing history of in absentia health care that, because of trendy communication technology has evolved into what we all know as trendy telemedicine. International Conference on Eergency and Acute Care Medicine, August 22th- 23th, 2018 at Tokyo, Japan; 3rd International Congress on Restorative and Alternative Medicine, August 27th- 29th, 2018 at Paris, France; World Congress on Fetal and Maternal Medicine , October 5th-6th, 2018 at Osaka, Japan. m-Health conjointly referred to as mobile health - refers to the apply of drugs and public health supported by mobile devices like mobile phones, tablets, personal digital assistants and therefore the wireless infrastructure at intervals digital health, m-health encompasses all applications of telecommunications and transmission technologies for the delivery of care and health info. Patients receive phone calls or text/voice messages associated with health education, treatment adherence, contacting employees’ doctors, physicians, medical experts or organizing transport to health healthcare workers are provided with needed resources to access the most up-to-date clinical guidelines, collaborate with colleagues, analyse data, receive diagnostic support, and interact with clients. International Conference on Medical and Health Science, August 24th-25th,2018 at Radison hotel Tokyo, Japan; 8th International Conference on Medical Educations and Health Science, October 8th-9th, 2018 at Osaka, Japan; 7th International Conference on Telemedicine, e-Health & Health Informatics, November 16th-17th, 2018 Melbourne, Australia; 13th World Congress on Industrial Health Care and Medical Tourism, October 15-16,2018, Dubai, UAE. 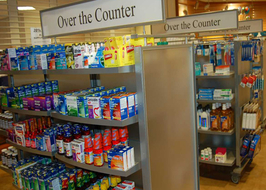 OTC drugs are those drugs which are safe and effective for use by the general public without a doctor’s prescription. Also known as prescription de controlled drugs. These are the non-prescription or over the counter drugs. These have little significant pharmacological activity and therefore the physician need not be very much concerned about their use by the patient themselves. It is used for primarily for symptomatic relief and not as substitutes for prescription drugs .chemist himself may prescribe OTC. It is considered as time saving medications. Some patients do not want to spend much time at physicians’ clinic. International Conference on Medical and Health Science, August 24th-25th, 2018 at Radison hotel Tokyo, Japan; 8th International Conference on Medical Educations and Health Science, October 8th-9th, 2018 at Osaka, Japan; 7th International Conference on Telemedicine, e-Health & Health Informatics, November 16th-17th, 2018 at Melbourne, Australia; 13th World Congress on Industrial Healthcare and Medical Tourism, October 15th-16th, 2018 at Dubai, UAE. A written or verbal order for a medication by a licensed individual (physician, dentist etc).It have been used since ancient times. Medication must be prescribed a registered medical practitioner. Should be clearly written, typed or computed generated and be indelible and dated. If a drug replaces a previously prescribed drug then the outdated one must be cancelled, signed and dated. Information regarding changes in medication must be communicated to all who need to know Nursing staff, patient. International conference on emergency and acute care medicine, august 22th-23th, 2018 at Tokyo, Japan; 3rd International congress on restorative and alternative medicine, August 27th-29th, 2018 at Paris, France; World Congress on Fetal and Maternal Medicine , October 5th-6th, 2018, Osaka, Japan. Use of electronic resources on medical topics by healthy population or patients. Client Health informatics helps bridge the gap between patients and health resources. 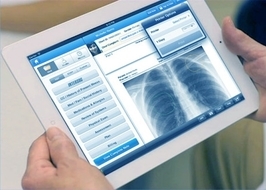 Client Health informatics embrace technologies focused on patients as a result of the first users to health information. Client Health informatics includes: information Resources, Communications, Remote observance, Videoconferencing, and Telepresence. Client health informatics is that the branch of medical informatics that analyses customers' needs for information; studies and implements ways that of constructing info accessible to customers and models and integrates consumers' preferences into medical info systems. International Conference on Medical Innovations, October 8th-9th, 2018 at Osaka, Japan; International Conference on Internal Medicine , October 24th-25th, 2018 at Osaka, Japan; International Conference on Integrative Medicine and Alternative Treatments, October 26th-27th, 2018 at Boston, Massachusetts, USA. The integration of health information technology (IT) into medical care includes a range of electronic strategies that area unit accustomed manage info regarding people’s health and health care, for each individual and patients and cluster of patients .The use of health IT will improve the standard of care, whilst it makes health care a lot of price effective. Health IT makes it potential for health care suppliers to higher manage patient care through the secure use and sharing of health info. By developing secure and personal electronic health records for many Americans and creating health info out there electronically once and wherever it's required, health IT will improve the standard of care, while it makes health care best. International Conference on Medical and Health Science, August 24th-25th, 2018 at Radison hotel Tokyo, Japan; 8th International Conference on Medical Educations and Health Science, October 8th-9th, 2018 at Osaka, Japan; 7th International Conference on Telemedicine, e-Health & Health Informatics, November 16th-17th, 2018 Melbourne, Australia; 13th World Congress on Industrial Health Care and Medical Tourism, October 15th-16th, 2018 at Dubai, UAE. European Society for Emergency Medicine, European Society for Immunodeficiencies, European Society for Medical Oncology, European Society for Trauma & Emergency Surgery. Virtual attention refers to the “virtual visits” that present itself between patients and clinicians -via technology the video and audio property that enables “virtual” conferences to occur in real time, from nearly any location. 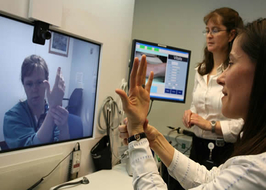 A virtual visit will be a videoconference between a doctor and patient. It can even provide patients the prospect to additional pronto realizes qualified second opinions on-line. Thus far, virtual attention has been used primarily for conferences and consultations, and standing reports, instead of in-depth diagnosing or treatments. Still, because the technology evolves, additional serious conditions like polygenic disorder are falling below the influence of virtual attention. Virtual healthcare also better enables specialists to monitor situations or procedures from remote locations. 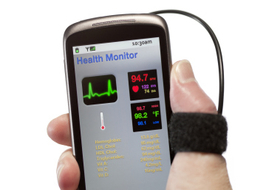 Patient monitoring at home has also been shown to be useful for treating patients with chronic conditions like diabetes and hypertension, where rehospitalizations too often occur due to lack of communications or transparency about the patient’s condition. International Conference on Emergency and Acute Care Medicine, August 22th-23th, 2018 at Tokyo, Japan; 3rd International Congress on Restorative and Alternative Medicine, August 27th-29th, 2018 at Paris, France; world Congress on Fetal and Maternal Medicine , October 5th-6th, 2018 at Osaka, Japan. Virtual care could be a term that’s generally used synonymously with telehealth or telemedicine - however they’re not an equivalent issue. Virtual care is truly a part of telehealth that could be a broader term encompassing the whole thing of remote and/or technology-driven care. “Telehealth could be a terribly broad class of solutions that service patients at a distance — so it can be doctor visits at a distance, it can be chronic condition management, and it can be managing bad maternity. However doing that at a distance, doing it remotely.” That the terms square measure thus usually confused indicates however integral virtual care is to telehealth delivery. Either way, demand is growing for a way to avoid the expense, burden and time spent traveling to and from clinics or doctor’s offices. And in rural areas troubled to draw in physicians and practitioners in the least, eliminating the necessity for transportation isn’t simply a matter of convenience however additionally of basic access - particularly for those unable to drive. International Conference on Medical and Health Science, August 24th-25th, 2018 at Radison hotel Tokyo, Japan; 8th International Conference on Medical Educations and Health Science, October 8th-9th, 2018 at Osaka, Japan; 7th International Conference on Telemedicine, e-Health & Health Informatics, November 16th-17th, 2018 Melbourne, Australia; 13th World Congress on Industrial Healthcare and Medical Tourism, October 15th-16th, 2018 at Dubai, UAE. 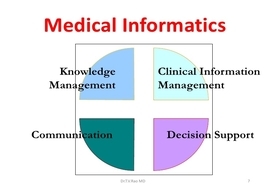 Medical informatics means the application of computers, communications and information technology and systems in all fields of medicine - medical care, medical education and medical research. 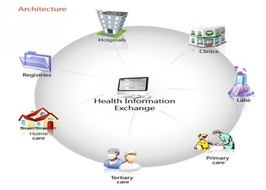 The definition of Medical Informatics is a new, exciting and evolving field. New specialties and careers are now possible in this field. The expectation is that information technology will improve medical quality, patient safety, educational resources and patient-physician communication, while decreasing cost. Applied Medical Informatics mainly deals with the proper regulation statistics associated with medical research and the management of all the data with the help of computer technology and is also concerned with the effect of these strategies on restorative research and education. Big information is employed across several industries with the applying of comparable principles and techniques to achieve-specific outcomes. 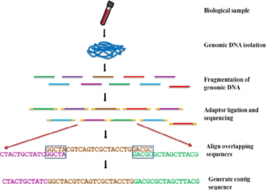 The health care trade produces massive amounts of clinical, financial, body and genomic information and wishes massive information techniques to manage it. Net and social media information - like interaction information from Facebook, Twitter, LinkedIn, Blogs, health arrange websites, and smartphone apps. Machine-to-machine information - like data from sensors, meters, and different devices. Group action information - like health care claims and asking records in each semi-structured and unstructured formats. Biometric information - like fingerprints, genetics, handwriting, retinal scans, X-rays and different medical pictures. Human-generated information - like Electronic Medical Records (EMRs), physicians’ notes, email, and paper documents. Pharmaceutical R&D information associated with a drug’s mechanism of action, target behavior within the build and aspect effects. Grouping and aggregating the large amounts of patient information made from a range of sources. Enhanced clinical decision-support through rapid analysis of the most current knowledge databases improved clinical trial design with the use of statistical tools and algorithms Enhanced models of personalized medicine through the analysis of large datasets Optimized business decision-supporting to help ensure the appropriate allocation of resources. Medicine, Wellness and e-Health Congress | Medicine, Wellness and e-Health Conference| Medicine, Wellness and e-Health Meetings | Medicine, Wellness and e-Health Symposium. 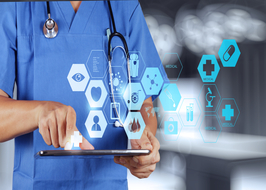 Healthcare data security provides encryption and key protection to healthcare enterprises to reduce the risks associated with holding patient data and strengthen organizational security and compliance postures, and support users demands for access to patient data. HIPAA (Health Insurance Portability and Accountability Act) designed to protect the freedom, security, privacy and confidentiality of patient medical records, protects personal records, diagnosis, treatment, progress, recommendations, radiology images and lab results. . Patient privacy is a must, and the last thing those in the healthcare industry want is a data breach, a compromise of patient information, or a penalty for failing to meet compliance. Disease management is the concept of reducing health care costs and improving quality of life for individuals with chronic conditions by preventing or minimizing the effects of the disease through integrated care. One way of supervising patients is by the use of electronic health (e-Health), which helps patients manage and control their disease. Disease management programs are designed to improve the health of persons with chronic conditions and reduce associated costs from avoidable complications by identifying and treating chronic conditions more quickly and more effectively, thus slowing the progression of those diseases. Disease management has emerged as a promising strategy for improving care for those individuals with chronic conditions. People with chronic conditions usually use more health care services which often are not coordinated among providers, creating opportunities for overuse or underuse of medical care. Medicine, Wellness and e-Health Congress | Medicine, Wellness and e-Health Conference | Medicine, Wellness and e-Health Meetings | Medicine, Wellness and e-Health Symposium. International Conference on Medical Innovations, October 8th-9th, 2018, osaka,japan; International Conference on Internal Medicine , October 24th-25th, 2018 at Osaka, Japan; International Conference on Integrative Medicine and Alternative Treatments, October 26th-27th, 2018 at Boston, Massachusetts. The formal health care system has become increasingly stressed, patients are being released from hospitals and other health care facilities still needing care. As a consequence, both laypeople and professional caregivers are making use of a wide variety of technologies. 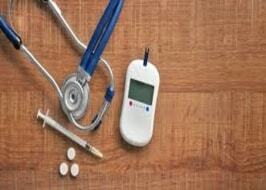 Some medical devices have been used in the home for many years. . 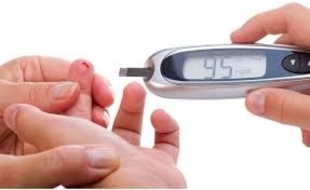 Durable medical equipment includes environmental devices, such as specialized beds, person-lifting and transferring equipment, and toileting aids Glucose meter is a medical device for determining the approximate concentration of glucose in the blood. A small drop of blood, obtained by pricking the skin with a lancet, is placed on a disposable test strip that the meter reads and uses to calculate the blood glucose level. The meter then displays the level in units of mg/dl. Continuous positive airway pressure (CPAP) is a form of positive airway pressure ventilator, which applies mild air pressure on a continuous basis to keep the airways continuously open in people who are able to breathe spontaneously on their own. Medicine, Wellness and e-Health Congress | Medicine, Wellness and e-Health Conference | Medicine, Wellness and e-Health Meetings | Medicine, Wellness and e-Health Conference. International Conference on Medical and Health Science, August 24th-25th, 2018 at Radison hotel Tokyo, Japan; 8th International conference on Medical Educations and Health Science, October 8th-9th, 2018 at Osaka, Japan; 7th International Conference on Telemedicine, e-Health & Health Informatics, November 16th-17th, 2018, Melbourne, Australia; 13th World Congress on Industrial Healthcare and Medical Tourism, October 15th-16th, 2018 at Dubai, UAE. E-prescription or electronic prescription is a technology framework that allows physicians and other medical practitioners to write and send prescriptions to a participating pharmacy electronically instead of using handwritten or faxed notes or calling in prescriptions. 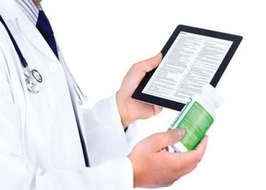 Electronic prescriptions are easier for the pharmacist to read than handwritten prescriptions. This means there's less chance that consumer get the wrong drug or dose, prevents prescription drug errors. Speeds up the medication reconciliation process and also reduce the number of lost prescriptions, Reduces the risk of readmissions. It gives physicians full visibility into all of a patient’s documented allergies and previously prescribed drugs and will trigger clinical alerts if a newly prescribed drug has any potential for negative reactions. 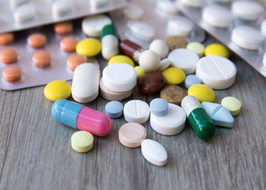 Alerts in the system will notify the prescriber of allergies, interactions with other drugs the patient is taking, duplicate therapy, as well as pediatric, pregnancy and geriatric issues that would preclude a patient from taking a particular drug. One of the biggest administrative burdens to physicians and clinical office staff is the need to respond to prescription refill requests. E-Prescribing enables providers to review, authorize and transmit 20-30 refill authorizations in a fraction of seconds. It’s also easier to execute an emergency refill for a patient who is traveling and runs out of medication. Telepharmacy is the conveyance in which we use pharmaceutical care by means of tele communications like mobile, computers, etc. to patients in areas where they might not have coordinate contact with a drug specialist. 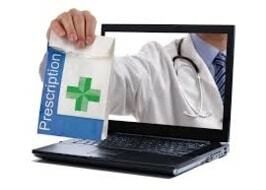 It is a case of the more extensive wonder of telemedicine, as actualized in the field of drug store. Telepharmacy incorporates medication treatment checking, counselling of the patient, prior approval and refill approval for professionally prescribed medications, and observing of model consistence with the guide of remotely coordinating or videoconferencing. Remote administering of solutions via robotized bundling and marking frameworks can likewise be thought of as an occurrence of telepharmacy. The amount of information that needs to be processed, analysed, stored, and represented is constantly growing. These data must then be integrated, compared, and viewed alongside other data to further knowledge and generate added value. Even beyond the issues presented by managing data and the effort required to process this information, the challenge is to improve the capacity of researchers to develop new hypotheses, produce innovative models, and test them. 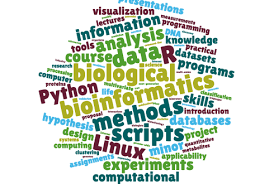 Bio-Informatics and Information management professionals are experts in managing the collection, storage, retrieval, analysis and interpretation of health care data and information. To provide the highest quality health care delivery, health care information is used not only for patient care, but also for medical legal issues, reimbursement, research, planning and evaluation. Opportunities for employment are found in a variety of settings, including hospitals, clinics, rehabilitation centers, home health agencies, health maintenance organizations, insurance agencies, governmental agencies, educational institutions and research centers. Digital Health Technology are providing patients suffering from diabetes with easier ways of keeping track of the blood-sugar levels and other self-supported data including physical activities. Data uploaded into the cloud, helps the physicians to access them and take care of the patient. Clinical studies are beginning to access the efficiency of these tools and it is anticipated that these tools will continue to evolve for the betterment of the patients. 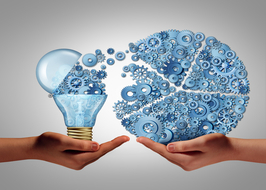 Health care innovation is defined as the use of new or altered products, services, processes, systems, policies, organizational structures, or business models which aims to improve health care quality or reduce health care disparities. In past few years many Different devices are created which took less time and increased the efficiency of the work and many more innovations are about to take place in future. International Conference on Medical and Health Science, August 24th-25th, 2018 at Radison hotel Tokyo, Japan; 8th International conference on Medical educations and health science, October 8th-9th, 2018 at Osaka, Japan; 7th International Conference on Telemedicine, e-Health& Health informatics, November 16th-17th, 2018 at Melbourne, Australia; 13th world congress on industrial health care and medical tourism, October 15th-16th,2018 at Dubai, UAE. 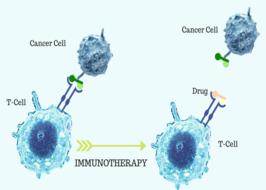 Immunotherapy is one type of cancer treatment which is concerns the boosting of body immune system fight against cancer. In this the body’s immune system fights infections and other diseases occurring in the body at the time of cancer. It is made up of white blood cells and organs and tissues of the lymph system are comprised in the immunotherapy. Immunotherapy is different because it is type of biological therapy. Biological therapy means a treatment which mainly uses living organisms to treat cancer. 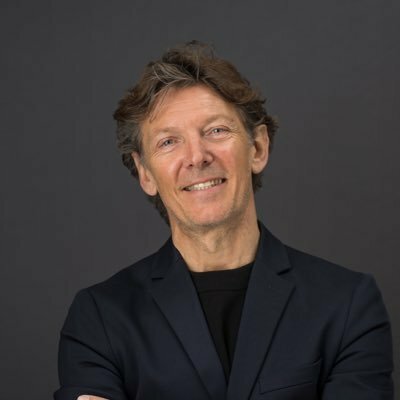 It is a kind of treatment with the potential to significantly extend survival for cancer patients, least number of negative effects and related health care costs of traditional chemotherapy. International Conference on Medical and Health Science, August 24th-25th, 2018 at Radison hotel Tokyo, Japan; 8th International conference on Medical educations and health science, October 8th-9th, 2018 at Osaka, Japan; 7th International Conference on Telemedicine, e-Health& Health informatics, November 16th-17th,2018 at Melbourne, Australia; 13th world congress on Industrial Healthcare and Medical Tourism, October 15th-16th, 2018 at Dubai, UAE. It is a type of additive manufacturing. 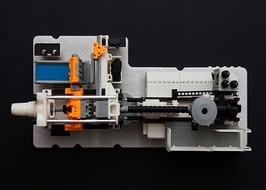 There are several characters of additive manufacturing, but the terms 3D printing and additive manufacturing are often used interchangeably. 3D printing is a process that helps us to create a three-dimensional object by building successive layers of any sought of raw material. Each new layer is attached in an order to the previous one till the 3D object is not obtained. Objects are produced from a digital 3D file, such as a computer-aided design (CAD) drawing or a Magnetic Resonance Image (MRI). Lower-cost and highly customized medical technology products that can be tailored to suit the physiological needs of individual patients. It is also known as machine intelligence. This intelligence is explained by use of machines which is different from the natural intelligence displayed by humans and other animals. Mostly, artificial intelligence is used when a machine copies the "cognitive" functions through human interact with other humans. 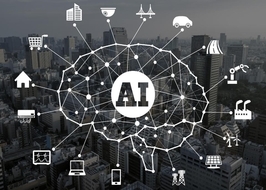 This is the ability of computers to think like and complete tasks currently performed by humans with greater speed, accuracy, and lower resource utilization. It is a great advancement in the field of healthcare. Robotics is also a major field related to Artificial Intelligence. Robots require intelligence to handle tasks such as object manipulation and navigation, along with sub-problems of localization, motion planning and mapping. It is an interactive computer-generated experience taking place in a particular environment which is mainly associated with audios and visuals. This illusionary environment is very much similar to the real world, creating an experience that is not possible in ordinary physical reality. 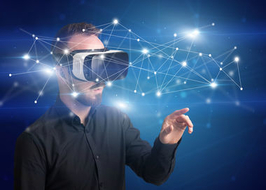 Augmented reality systems may also be considered a form of VR that layers virtual information over a live camera feed into a headset or through a smartphone or tablet device giving the user the ability to view three-dimensional images. Simulated environments that could accelerate behaviour change in patients in a way that is safer, more convenient, and more accessible. International Conference on Medical and Health Science, August 24th-25th, 2018 at Radison hotel Tokyo, Japan; 8th International conference on Medical educations and health science, October 8th-9th, 2018 at Osaka, Japan; 7th International Conference on Telemedicine, e-Health& Health informatics, November 16th-17th,2018 at Melbourne, Australia; 13th world congress on industrial health care and medical tourism, October 15th-16th,2018 at Dubai, UAE. 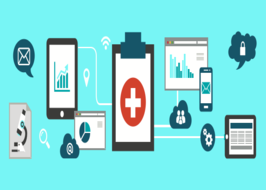 The global eHealth market is projected to reach USD 132.35 Billion by 2023 from USD 40.82 Billion in 2017, at a CAGR of 22.7% from 2018 to 2023. 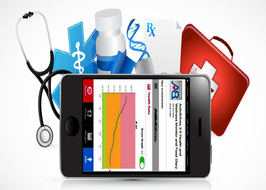 The growth of the market can be attributed to factors such as, the need to curtail escalating healthcare costs, increasing government initiatives supporting the use of eHealth solutions and services, the shortage of healthcare professionals, high prevalence of chronic diseases, growing need to manage regulatory compliance through the use of eHealth solutions, and shift towards patient-centric healthcare delivery. Furthermore, expanding scope of IT companies pertaining to the development of real-time applications and software catering to the healthcare industry is expected to drive demand over the forecast period. Federal agencies such as the European Coordination Committee of the Radiological, Electro medical and Healthcare IT Industry, in order to encourage and popularize eHealth, formulated various policies since 2007. One of these is the eHealth Action Plan, formulated in December 2012, which includes 16 proposed actions to boost eHealth use, focused on increasing research, innovation, interoperability and adoption. 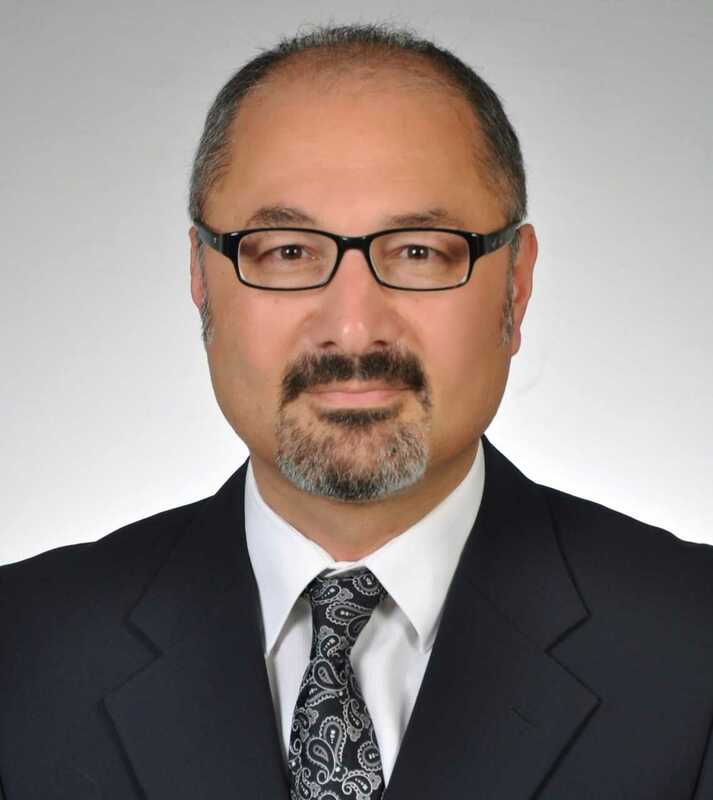 The American Health Information Community (AHIC) was chartered in the U.S. to make recommendations leading to the likely development of eHealth to the Secretary of the U.S. Health Department. 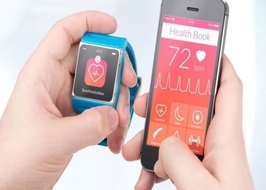 Based on these recommendations, efforts are being made to increase awareness levels for currently available mobile applications and wearable remote monitoring devices. The benefits encouraging higher demand include round the clock care service, wider and faster access to patient information, reduction of administrative and medical errors, self-monitoring and management by patients and centralization of entire healthcare industry chain. The market for digital health is gaining remarkable momentum across the world, thanks to the surge in the prevalence of diabetes and various other chronic diseases. With the increasing number of government initiatives and the rising uptake of information technology in the area of medical and healthcare, the market is anticipated to witness significant growth over the next few years. In 2016, the global digital health market was at US$179.6 bn. According to Transparency Market Research (TMR), the opportunity in this market is anticipated to rise at a CAGR of 13.40% between 2017 and 2025 and increase to US$536.6 by the end of 2025. The technological advancement in the medical and healthcare infrastructure is also projected to support this market over the next few years. If you have a keynote, invited, oral or poster presentation, please provide the details of your registration. The overseas visitors outside Europe entering Netherlands should hold a valid passport with at least 6 months validity from date of entry. Citizen having passport from certain countries needs a VISA to enter in the Netherlands. For more information about visa for business trips and to attend conferences in Netherlands, please contact the Netherlands Embassy or Consulate in your country. It should be noted that the invitation letter will be send to the participant by E-mail only. Please be aware that we would not able to directly contact to consulates or embassies regarding any visa issue. As the participant, it is your sole responsiblity to apply and follow up your Visa application. Attending our CME accredited healthcare conferences is beneficial and valuable to physicians and other healthcare professionals because it is required in order to maintain medical licensure & certification, is a source of constant improvement that ultimately improves their medical practice, and keeps them up-to-date on the latest technologies, advancements, treatments, etc. Speaking at our CME healthcare conferences will also be a great stage for clinical healthcare/medical professionals to share their expertise and increase their distinction in their specialty. By attending our healthcare conferences researchers/professionals will get time to spend with expert presenters, but perhaps even more importantly they get to network with other attendees. Our healthcare conferences provide doctors with the opportunity to engage in discussions with presenters about educational material, which can help them, understand it better and develop Knowledge Base. Participating in our CME healthcare conferences helps to expand your resources. Attending at our CME healthcare conferences can get points for presentations and publications and can introduce new ideas and approaches to the healthcare/medical professionals. The target audience for our CME Accredited global healthcare conferences are professionals across all the fields related to healthcare and its allied groups. These includes but is not limited to primary care physicians, primary healthcare practitioners, family medicine specialists, healthcare specialists, epidemiologists, primary and community care specialists, public health specialists, nurse practitioners, chiropractors, registered nurses, pharmacists, nutritionists, acupuncturists, homeopaths, dieticians, health coaches, licensed herbalists, business entrepreneurs, training institutes, software developing companies, manufacturing medical devices companies, data management companies, veterinarians, microbiologists, clinicians, public health professionals, communication specialists, business analysts, data analyst healthcare consulting firms, healthcare head hunters, healthcare recruiting agencies healthcare investors, healthcare professionals, healthcare specialists, healthcare workers, healthcare technology companies healthcare societies /NGO’s Healthcare organizations healthcare management specialists public health professionals Health economists foundation leaders, direct service providers, policymakers, researchers, academicians, advocates policy makers and others. Amsterdam is the capital and most populous municipality of the Kingdom of the Netherlands. Its status as the capital is mandated by the Constitution of the Netherlands, although it is not the seat of the government, which is The Hague. Amsterdam has a population of 851,373 within the city proper, 1,351,587 in the urban area, and 2,410,960 in the Amsterdam metropolitan area. The city is located in the province of North Holland in the west of the country. The metropolitan area comprises much of the northern part of the Randstad, one of the larger conurbations in Europe, with a population of approximately 7 million. As the commercial capital of the Netherlands and one of the top financial centres in Europe, Amsterdam is considered an alpha world city by the Globalization and World Cities (GaWC) study group. The city is also the cultural capital of the Netherlands. Many large Dutch institutions have their headquarters there, and seven of the world's 500 largest companies, including Philips and ING, are based in the city. In 2012, Amsterdam was ranked the second best city to live in by the Economist Intelligence Unit (EIU) and 12th globally on quality of living for environment and infrastructure by Mercer. The city was ranked 3rd in innovation by Australian innovation agency 2thinknow in their Innovation Cities Index 2009.The Amsterdam seaport to this day remains the second in the country, and the fifth largest seaport in Europe.